The Ten Commandments call us to respect life and to protect it against every injustice and abuse, recognizing the worth of each human person, created in the image and likeness of God. How often, in every part of the world. near and far, the dignity, the freedom, and the rights of human beings are trampled upon! Bearing witness together to the supreme value of life, against all selfishness, is an important contribution to a new world where justice and peace reign, a world marked by that “shalom” which the lawgivers, the prophets, and the sages of Israel longed to see. 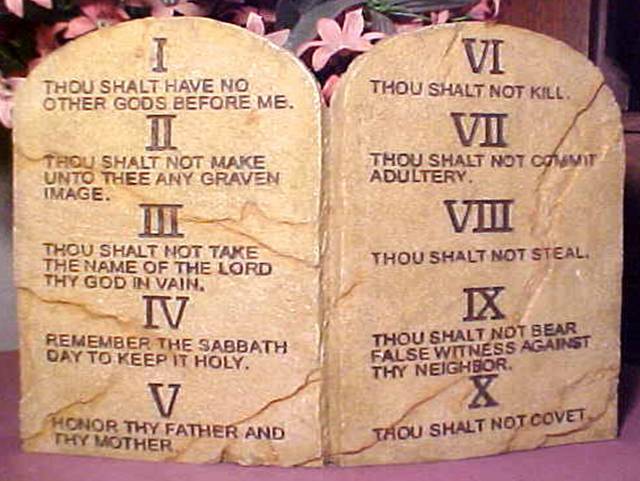 The Ten Commandments call us to preserve and to promote the sanctity of the family, in which there personal and reciprocal, faithful and definitive “Yes” of man and woman makes room for the future, for the authentic humanity of each and makes them open, at the same time, to the gift of new life. To witness that the family continues to be the essential cell of society and the basic environment in which human virtues are learned and practiced is a precious service offered in the construction of a world with a more human face.